There are very few people who are indifferent to a broad bean-you either love them or loathe them. I am a lover perhaps because they remind me of the eternal summers of childhood. Broad beans were (along with gooseberries) one of the few things that grew successfully in the garden, so Sunday lunches during the summer almost always featured broad beans in parsley sauce. They were never skinned so we all got used to chewing through the tougher outer layer. These days, though, I set aside a little time to pop off the paler skins. Aesthetically they do look more appealing and you are more likely to win over a loather if you make the effort. 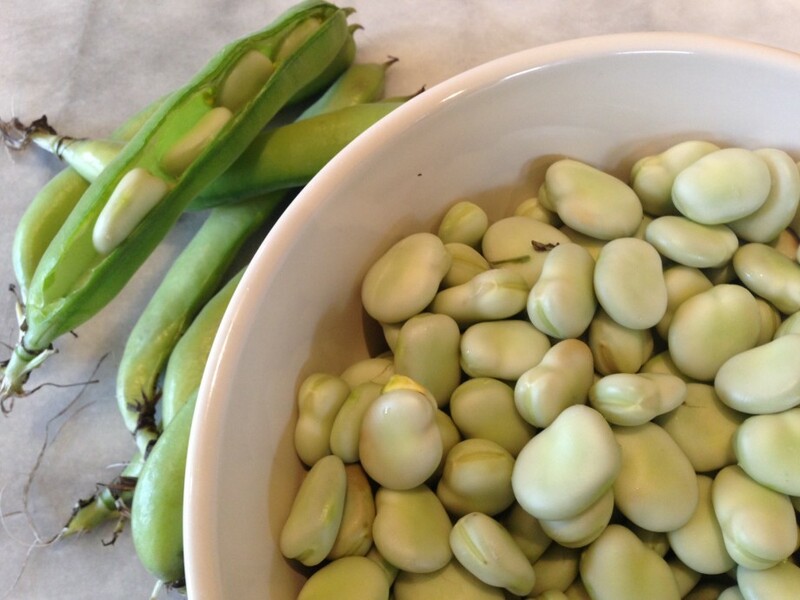 If you grow broad beans pick them very young and eat raw; scattered into a green salad or lightly dressed as an accompaniment to a piece of grilled fish or lamb cutlet. Shop-bought beans tend to be older and fatter and need boiling –or blanching at the very least. For some reason it is not easy to find broad beans in their dried form in the UK-which is a shame as they are delicious and make a change to the more common yellow split pea or red lentil.